Home › › Gum Disease › How can I NOT get Gum Disease? The earliest stages of gum disease are difficult to diagnose. The signs may begin as early as the teen years and in young adults as early as in their twenties. Signs of gum disease are sometimes subtle. 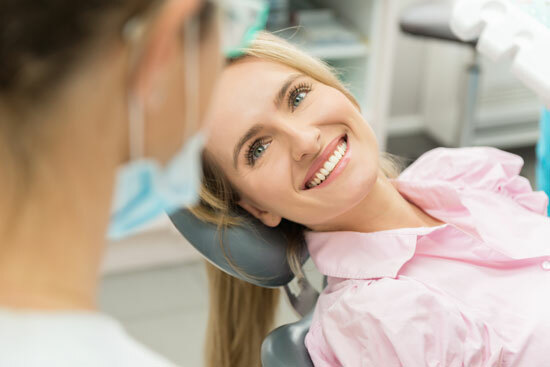 Patients can self-examine by looking for: tissue inflammation, tooth or gum sensitivity, gum bleeding when flossing or brushing, gum tenderness, receding gums, and bad breath. Signs of advanced stages of gum disease are easier to detect: tooth mobility, shifting teeth, puss around teeth, pain when chewing, and even tooth loss. 2. Visit the dental office and ask the doctor (periodontist or general dentist) to perform a complete periodontal examination. A complete periodontal examination includes measurement of gum recession, probing pocket depths, and gum bleeding. If these numbers are between 1 and 3 mm, it means that your gums are healthy. Probing depth numbers above 4 mm are called ‘pockets’ and indicate the presence of inflammation and bone loss. 3. A full mouth set of dental X-rays are also needed to complete the periodontal examination to evaluate the level of bone loss around teeth. Getting regular gum and tooth examinations are great ways to prevent gum disease later on. …and are only diagnosed when the periodontal disease has already progressed and the supporting bone around the teeth is lost. Once periodontal disease bone loss has occurred, it cannot be easily regenerated. However, there is now a laser periodontal regenerative therapy called LANAP that is able to reverse some bone loss around teeth. 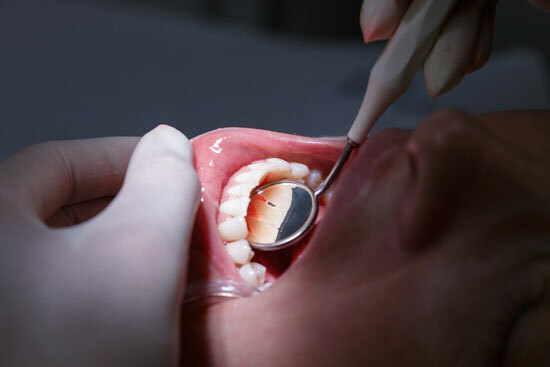 In general, the more advanced periodontal disease is, the more difficult it is to manage. Therefore the best thing to do is to take a preventative approach, early diagnosis and proactive and efficient disease management. One important note to remember is that periodontal disease cannot be cured but can be well managed with excellent oral hygiene and regular dental check-ups. Some dental offices also offer LPD or laser pocket disinfection. LPD uses an Nd: YAG laser for removing an additional 80% of bacteria living in the gums. Dental cleaning with laser technology is very successful and best for the prevention of onset gum disease. LPD treatment leaves the gums clean of bacteria and free of inflammation. At PreserveYourTeeth Dentistry® we recommend using LDP treatment once or twice per year for patients who are receiving orthodontic treatment, young adults in their 20’s as a part of their preventive cleaning visits, patients who are receiving periodontal maintenance visits or patients who are also medically compromised and where bacteremia during dental visits is an issue such as in patients after hip replacement.